In the late summer of 1941, as the war in Europe drags on, long-buried secrets begin to surface in the Hampshire village of Winstead, when the body of a young woman - a former conscientious objector - is found shot to death in the church cemetery. The woman's only connection to Winstead seems to be that she lately had joined a group of conscripted workers who are building a prisoner of war camp on an abandoned farm near the village. 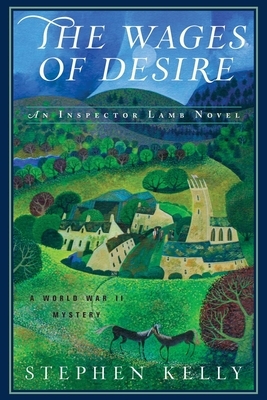 But Detective Chief Inspector Thomas Lamb, who is called in to solve the case, has his doubts. The mystery deepens when workers at the farm find the remains of a child in the foundation of the old farmhouse, and a tramp who had been squatting in the wood near the church turns up dead. Lamb soon begins to suspect that the crimes might be related to a tragic event that occurred in Winstead more than twenty years earlier - the suicide of a village woman who took her life in despair after her husband abandoned her and took their young twin sons with him. As Lamb pieces together the connections between the crimes, he draws closer to the source of evil in Winstead's past and present and, in the end, must risk his own life to uncover the truth.